RHYS BOWEN: I met Jennifer Kincheloe when we were fellow nominees for the Lefty historical award this year at Left Coast Crime in Phoenix. We were on a panel together and had a chance to chat and I found out our heroines had a lot in common. My Molly Murphy works with the first woman on the NYPD and Jennifer writes a similar story but in early 1900s Los Angeles. Fascinating stuff, as you'll find out when you read. Welcome Jennifer! Jennifer Kincheloe Thanks so much to the Jungle Reds for having me. I’m honored to have been on a panel with Rhys at Left Coast Crime 2016, and nominated alongside Rhys for the Lefty Award for Best Historical Mystery. Congratulations on her win! 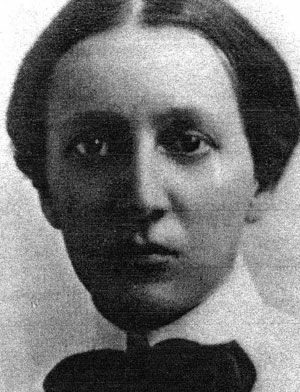 In 1910, the Los Angeles Police Department commissioned their first policewoman, Alice Stebbins Wells. Before becoming a cop, Alice was a police matron at Central Station like the protagonist in my debut novel, THE SECRET LIFE OF ANNA BLANC. It’s set in 1907 LA and features a naïve socialite who buys off her chaperone and, using an alias, secretly gets a job as a matron with the LAPD. Alice inspired the book. In the spirit of the novel, I thought I’d introduce you to a few of my favorite lady cops. The first lady cop that I know about is Ela of Salisbury (1187 - 1261) a wealthy English heiress and the suo jure Countess of Salisbury. Ela was married off at the age of nine, but when her husband died in 1196, Ela secured the appointment of High Sheriff of Wiltshire. Way to recreate yourself. In the US, before there were policewomen, there were police matrons. Back in the day, women suspects and prisoners were “cared for” by male cops and prison guards, who were often too caring, so to speak. 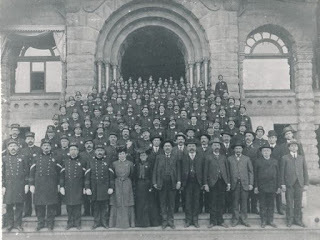 In the late 1800s, women’s clubs stepped in and lobbied to have police matrons placed in police stations and jails to keep the boys in line. Matrons watched over lady prisoners, questioned female suspects, hunted for missing persons, and sometimes they solved crimes. 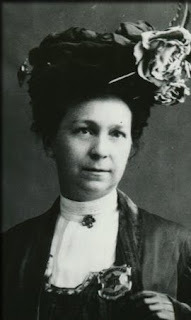 In 1888, Lucy Gray became the first police matron in Los Angeles. Police records also refer to her as a detective. 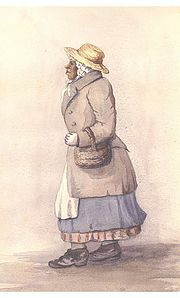 A forty-seven year-old widow with eight children, Lucy lived over the jail in Central Station where she was continuously on-call to receive and deal with prisoners. She stood five feet tall and weighed one hundred pounds, yet Lucy commanded prisoners with an iron will. Her daughter, Aletha Gilbert, became LA’s second police matron, initially working for no pay. In many states, the police did not fund matrons’ salaries, so women’s clubs paid them. In 1908, Police Chief Williams appointed Fanny Bixby, daughter of a wealthy land baron, a 'Special Police Officer' for the City of Long Beach. Fanny was young, single, gorgeous, and carried a gun. Her father did not approve of her police work, and high society gossiped mercilessly, but Fanny did it anyway. Sound like anyone you know? (Okay, if you haven’t read the book, it sounds like Anna Blanc.) The city named a rollercoaster after Fanny. 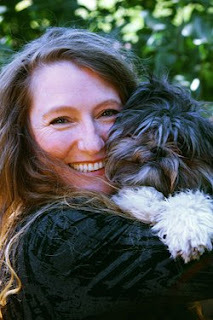 Jennifer is a research scientist turned writer of historical fiction. Her debut novel, THE SECRET LIFE OF ANNA BLANC is the winner of the Colorado Gold Award for Mystery, and a finalist in the Lefty Awards for Historical Mystery. She lives in Denver, Colorado with her husband, two children, dog, and cat. Thrilled to see Jennifer here on Jungle Red. The Secret Life of Anna Blanc was one of my favorite debuts from last year and I can't wait to see what kinds of trouble our feisty heroine gets into next. Thanks for introducing us to some interesting policewomen. 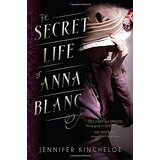 I'm looking forward to reading "The Secret Life of Anna Blanc" . . . . I love all these women! Thanks for sharing, Jennifer. Your book awaits me on my Kindle. This sounds absolutely terrific--and I loved reading about those women. The idea of simply"taking" authority is fascinating. My mother used to tell me--go in like you own the place. Sounds like that's what these women did! Does writing about Anna change the way you loo at the world now at all? So fascinating! I can't think of any other historical mysteries that feature professional women LEOs - obviously, it's a fertile field. Also, thanks for the historical set in LA - I'm such an East Coaster that I sometimes forget there WAS an LA before the moving picture industry got there! I'm also intrigued by the "taking" of authority. Talk about dressing for the job you want! Yes, a very fertile ground for writers. Congrats on the Lefty nomination. How great would that be, to have a roller coaster named after you! What a fascinating character. Thanks for sharing the back story, Jennifer. Yes, Hank, writing about Anna did change the way I look at the world. I'm so grateful to our foremothers, and much more conscious of sexism today. The sequel (coming in 2017) is set in LA's Chinatown in 1908 and dramatically raised my awareness about what Chinese Americans faced then and now. I've got so much to learn! Writing historical novels is a great way to do it. Love the idea of trading cards! These women are much bigger heroes than almost any sports figure. Hi Jennifer! Your post reminded me of one of the many reasons I love historical novels. It's so much fun to learn new things. Of course, I had to look up the first female police officer in the UK. Her name was Edith Smith and she was appointed the first woman constable of the town of Grantham, in Lincolnshire, in 1915. Jennifer, congrats on your nominations! Jennifer, I'm so happy that you and Anna are getting the much deserved attention and buzz you deserve. When I met you at the panel you were on in Raleigh, you were so gracious and interesting, gracious to give me a copy of The Secret Life of Anna Blanc (after the lady sitting next to me literally grabbed the copy I was being given out of my hands, such uncharacteristic behavior at Bouchercon). I was so intrigued by the subject matter of Anna, and the book lived up to all expectation I had for a great read. I'm sure we're going to see this amazing book on the Bouchercon ballot for New Orleans. You have struck gold with this subject matter and this series, Jennifer. Can't wait to see you in New Orleans and to read the next Anna Blanc. A woman I knew was one of the first sworn police officers in Miami, FL. She was a hoot and a half and once wrote a letter of instruction (after she retired) explaining where she kept her gun and if she was found dead, and the gun wasn't where it was supposed to be or in her hand, then it should be reported stolen. What wonderful stories she used to tell about the years when the female officers wore skirts! Thank you so very, very much Kathy Reel. It means so much to me when people read and like the book. Thanks, all of you! And Kait, I would have loved to interview that Florida officer! Jennifer, that's exactly what I wondered…so interesting! Jennifer, not only do I want to read your book, you have inspired me to try to learn more about the lady cops you mentioned, particularly the one in Nova Scotia who took charge of all that needed to be done, and the widow with eight children. How did we not know about these remarkable women?? I hear you, Deborah. How could we not know? I run into this all of the time--remarkable women being left out of the history books. That's why I used the newspapers so much for my research. The newspapers sometimes reported on exceptional women because they were novelties. Sorry I missed this post earlier, Jennifer. Your book sounds fascinating and intriguing. I look forward, very much, to reading it. I was a patrol officer for a short period of time. I answered a call for carpenter apprentices and was offered the other job instead. Don't know for sure how it happened but I went for it and stuck it out for the initial period. Really wasn't for me but did actually like it. Thanks so much, Reine. Wow!! A patrol officer. You are interesting and brave.